Most good adhesive tape converters can provide you the right material for your project in the format you need. 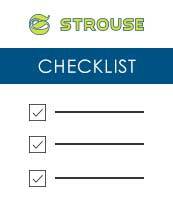 What Strouse provides is a complete adhesive solution that makes your processes more efficient. It's one of the reasons why we're a 3M™ Preferred Converter. Whether you have a question, an idea, a napkin sketch, or completed technical drawings our engineers are available to assist you with your project. Fill out a form on our website and our engineering team will follow up with you shortly about your project. Sample adhesive parts. Minimal cost. Minimal commitment. Over 2,000 unique materials and more than 75,000 individual rolls in stock. ARE YOU EVALUATING ADHESIVE SOLUTIONS?